If something has to be hyped to oblivion, it will inevitably disappoint. If something has been overhyped to the point where you’re expecting something that is probably too good to be true, just don’t bother. It won’t live up to the expectations. So why is this called the Nando’s Principle? 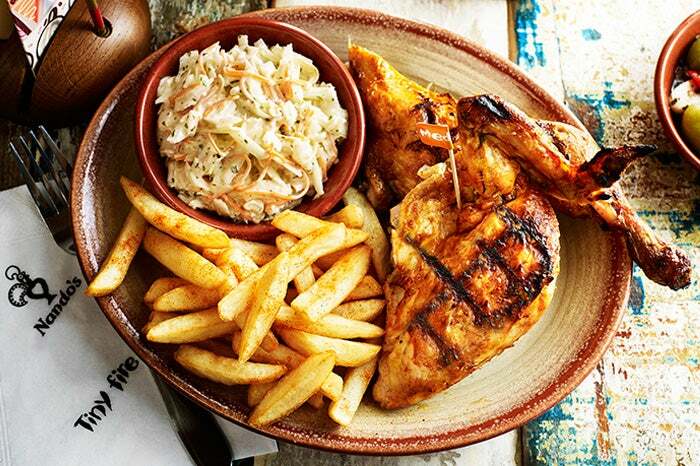 You may or may not remember a time in British history where the chicken chain restaurant Nando’s wasn’t a thing. I know, unthinkable. Dark times indeed. But it wasn’t, and we lived in blissful ignorance. Then suddenly, out of nowhere, it was everywhere. It was also all that anyone could talk about. “Oh you just have to go”, they would say. “It’s incredible”. On and on and on and on. I knew that at some point I would have to try out this amazing place. How could all these people be wrong? So I went. And it was chicken. What on earth have you all been going on about? It’s just reasonably nice chicken. And I had to pay extra for chips. Where was this Nirvana that I was assured of? Where was the succulence that would have me drooling for days afterwards? Now, here’s where the principle kicks in. If I’d just gone to Nando’s, I probably would have liked it. The food is nice. I’m not saying it’s horrible food. But it had been built up so much that the end result was disappointing, and I’ve barely been back. Twice, maybe three times in my life. Every time – ‘meh’. It’s a code that I now live by. I still haven’t seen Les Mis, and never will. I won’t watch the Superbowl. “Oh, but Mark, you’re missing out on all these wonderful things for a silly rule.” Can you honestly tell me that hyped things are ever as good as they promise? Isn’t life that much sweeter when you have a surprisingly good time? I feel very much like the comedian Jon Richardson. I like to keep my life happiness curve fairly shallow. “Ooh that was a nice KitKat, Ooh bloody hell…” I don’t feel like I’m missing out. I’m having a smashing old time, thank you very much. I should be clear – I’m not against hype per se. It’s perfectly ok to get excited about something, or evangelise about something you like. But you’d better make sure it is genuinely amazing. If something needs to be hyped to oblivion, it must be insecure in itself. And that’s ok too. But I won’t be going.